All-in-one tool for downloading, recording, and converting music and video files. Discover music and videos from within the app itself. Support for iTunes. You can import and export iTunes from your file. You can even organize the files available on iTunes. Transfer audio and video files from your desktop to smartphone and vice versa. Convert video files to music files and vice versa. 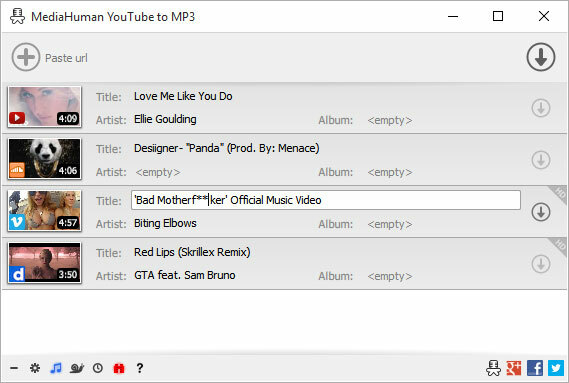 iMusic supports a range of formats that you can use for converting files into the required format (including YouTube videos to MP3). 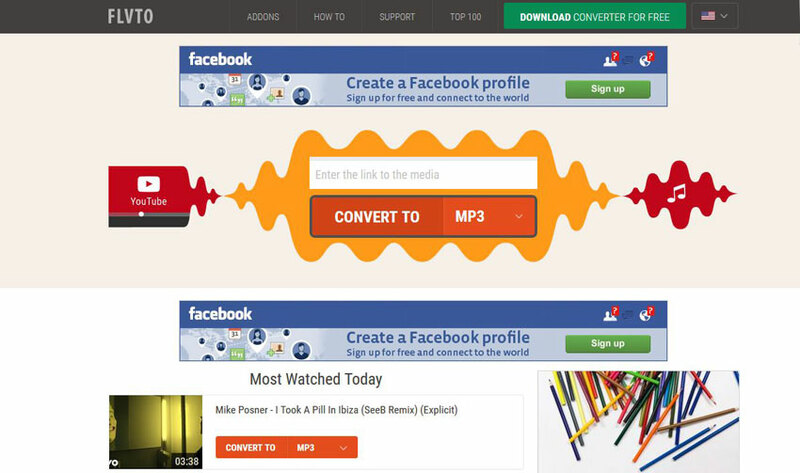 A free online converter that allows you to convert your favorite YouTube videos to MP3. A simple user interface ensures that the tool is easy to use for even the most novice of users. 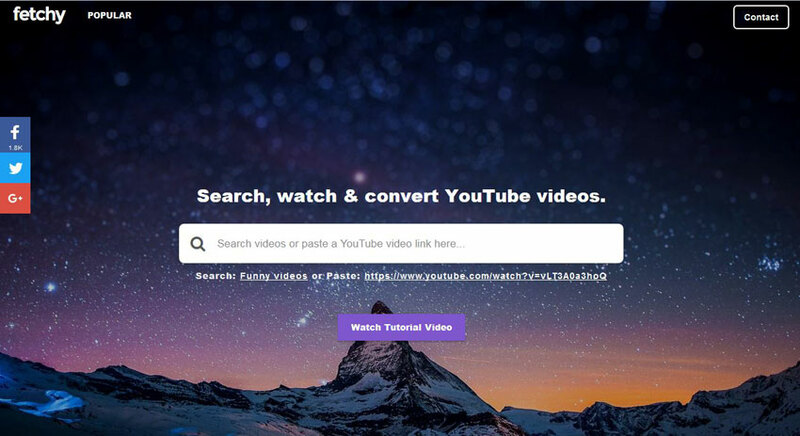 To convert, simply add the YouTube URL for the video that you wish to convert. The tool automatically fetches the flash video and converts it to an MP3 audio file. 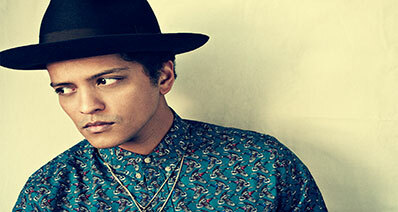 You can then download the MP3 file. The best part of this tool is that you do not need to sign up for the service. One of the simplest tools available for converting YouTube videos to MP3 audio files. YouTube MP3 features an intuitive user interface that is very easy to understand. Just put in the link to the video and click on “Convert Video” to extract the MP3 audio out of the desired file. The most amazing part of this tool though is that it is platform independent. You can use it on any browser and on any platform (desktop, tablet, or even smartphone). Featuring a beautiful design, FLVTO allows you to convert YouTube videos into a variety of options including MP3. The output (converted) MP3 file is of high audio quality. The tool is also one of the most stable online converters available in the market today. For converting, just add the link to the YouTube video that you wish to convert, select the desired output format (MP3), and click on ‘Convert To’! Quick, stable, and powerful is how we would describe this amazing software by DVDVideoSoft. 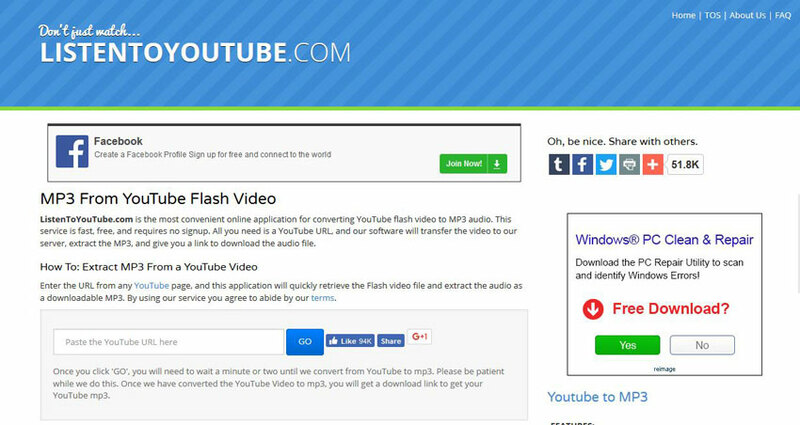 You can download YouTube videos, convert them, and even manage them with the help of this free convertor. 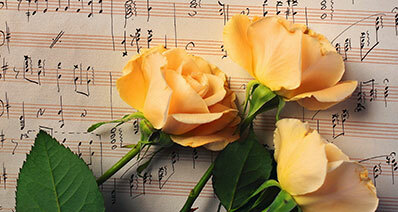 In order to convert a YouTube video to MP3 audio, the software first downloads the video in its original quality and then converts it without compromising on the quality. Furthermore, you can even download entire user channels and playlists with this wonderful tool. Fetchy features a brilliant and elegant user interface that is pretty straightforward to use for even the beginners. The instructions for the tool are present right in front of you so that you have no problem in the process. 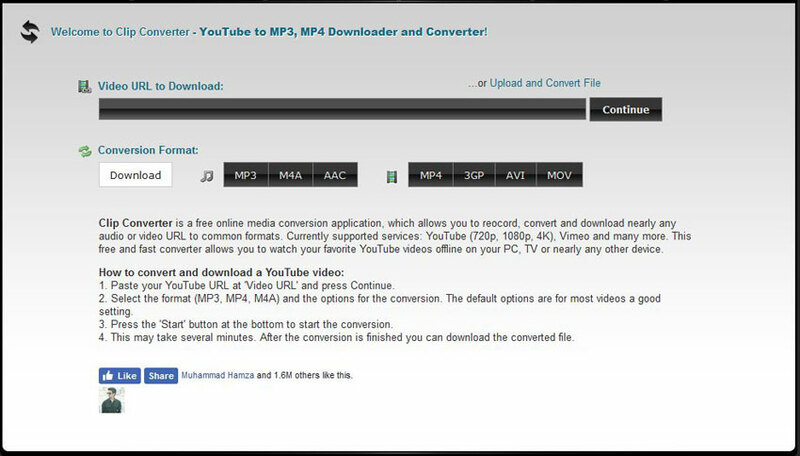 This tool supports conversion of YouTube videos to MP3 and MP4 formats. Moreover, Fetchy also gives you the ability to search for YouTube videos directly from within the tool itself! Once you have given it the instruction to convert a video, Fetchy automatically gets the highest quality of audio available for the video and delivers it to you for downloading. ConvertMeMP3 is one of the most stable online conversion tools available today. The user interface is very easy to use. All you have to do is to enter the YouTube video link, select the output audio quality, and click on ‘Download Mp3’! One of the most notable features for this tool here is its ability to offer different levels of audio quality. If you are looking to squeeze in hundreds of songs into limited storage, the ‘Low’ quality will help you. On the other hand, if you are looking for the best audio quality conversion, ConvertMeMP3 has that available too! An amazing and intuitive desktop software for downloading, converting, and managing videos from popular websites such as YouTube and DailyMotion. 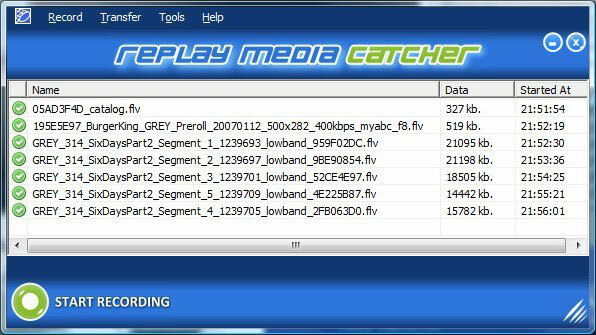 With the help of Replay Media Catcher, you can easily convert your YouTube videos to high quality MP3 files. Some of the key features for the software include batch conversion and screen video recorder. However, the software is shareware which means it is only available for a trial version for free. A free online converter that features a simple user interface that is effortless to use. The tool requires no registration or installation. You can directly convert your YouTube videos by simply visiting the website. Moreover, there are no limitations for how many conversions you can make. Just visit the website mentioned above, enter the link to the video that you wish to convert and click on ‘Convert’ to download the MP3 for the YouTube video. 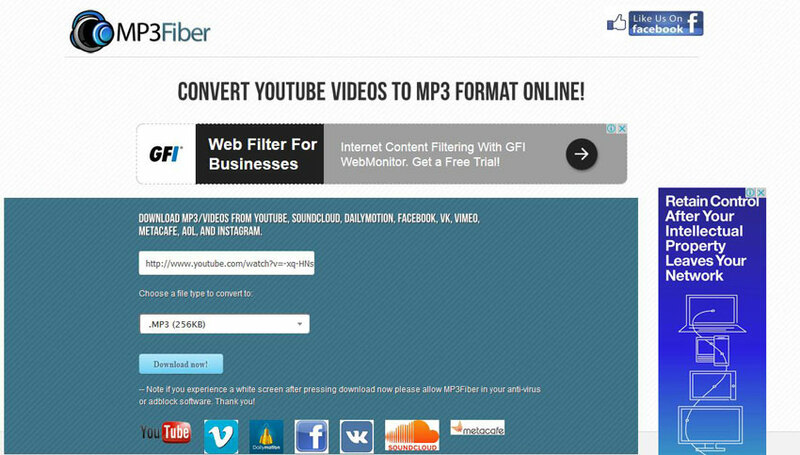 Clipconverter is very well known for its range of powerful converters that include a YouTube video converter. The tool features a rich user interface that has a variety of options available for conversion. The first step to converting is to enter the Video URL of the file you wish to convert. Then, click on ‘MP3’ below the ‘Conversion Format’ tab to set the output file type of MP3 audio Finally, click on Download to make the MP3 file accessible for offline use. Clipconverter is a quick and stable converter that is recommended for users that are looking for high quality audio output. Another wonderful free online converter that offers unlimited conversions without the need for registration. The tool features a simple user interface that is based on a three step conversion process. First, you enter the link for the video file that you wish to convert (from YouTube, Facebook, Vimeo, Metacafe, and others). Second, select the output file type. Here, you can also choose the output quality with 128 KB (lowest quality) and 320 KB (highest quality). Finally, click on ‘Download now’ to convert the YouTube video file to MP3! A robust desktop software that allows you to download and convert videos from the most popular video-hosting services today. These include YouTube, Vimeo, Metacafe, and DailyMotion. The app features a simple and minimalistic user interface that is very easy to use. With Media Human YouTube to MP3, you can convert multiple video files simultaneously (batch processing), and even download entire playlists and channels from video depending on your need. 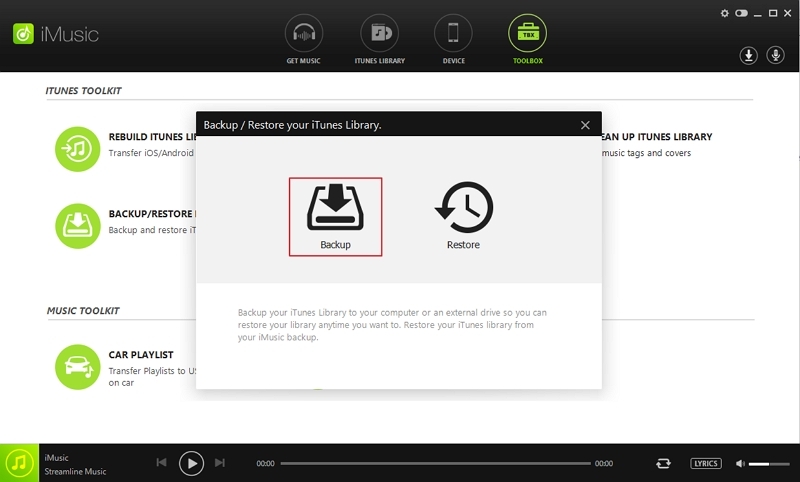 If you are an Apple user, this tool can even help you import the music files directly to iTunes. YTconv is another convenient and straightforward converter that is free to use. 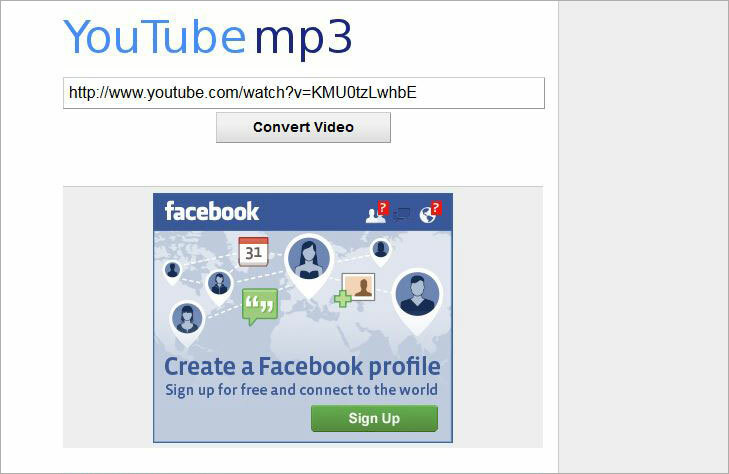 You do not need to register for an account before conversion, just add the YouTube video URL to the box and select MP3 as the output file. Now, click on ‘Convert’ to download the converted audio file. YTconv also features an incredibly simple user interface that is easy to use. As the name suggests, VidtoMP3 is a converter that allows you to convert videos into MP3. For converting, you just have to enter the video URL from a popular video site (such as YouTube) into the text box and click on ‘Download’ next to it. The interface for this app is not as clean as one would like but the converter does a fairly good job of converting video files into high quality MP3 audio files. The conversion process is quick and reliable, too, with the output quality being consistent. A no non-sense, ad-free online converter that is based on a minimalistic user interface. The clean and clear interface makes the tool very easy and straightforward to use. Just enter the Video URL and click on ‘dirpy!’ to convert your YouTube video to a MP3 audio file with amazing output quality.